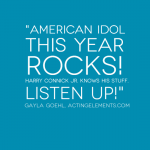 This is the first time in a long time that I love the vibe, the advice and the heart of the show American Idol. Talent and Creativity are hard to judge with grace and kindness yet authority of experience. Even if you don’t want to be a singer, watch! You can learn a lot about the art of auditioning with confidence, openness and truth of your own voice no matter the art form. My wonderful private coaching client Sari Arambulo booked yet another one! A very funny Guest Star on the new TV series ‘Girl Meets World’. Rockin’ it this year! Young Adult Actress: I’m trying to get it right. 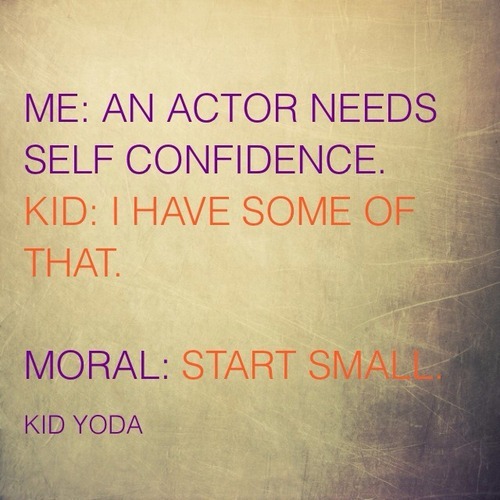 Kid Yoda: Try and get it wrong. Being a professional actor mean making mistakes. That’s right! 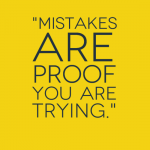 It is proof you are trying. So allow yourself to be relaxed enough to be comfortable making mistakes. Make an interesting choice and go with it. Be caught up in the moment and blow a line. Doesn’t matter. The media of film is forgiving. You can always take the line again. Work on the moment from a more truthful place. Make a different, stronger choice. Being a professional actor means you are risking something! So risk it! Conversation I had with an older teen acting student. Teen: I really want to start booking projects. Kid Yoda: What do you think is stopping you? Teen: No one believes in me. How can I book projects if no one believes in me. 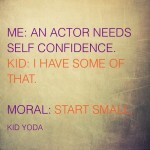 Kid Yoda: Do you believe in your self? Kid Yoda: Let’s work on that first then. 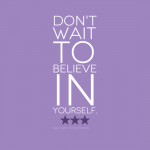 Don’t wait to believe in yourself. Don’t wait to start believing in yourself. Watch for Nate on ‘Perception’. Acting is not painting by numbers. Your emotions are your art. Like a great artist who sees the painting in layers of colors, so does an actor need to see their characters in layers of their changing colors of emotions. 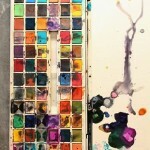 When you pick one color do not try to deny that there will be bleeding into other colors. These new color combinations will allow complex shades to reveal themselves. Some dulled. Others brightened. Muddy. Crisp. You can not control. Let the pigments merge, flow through each other, meshed, intertwined, bleeding into each other. How ever you can allow them. Then let them freely flow from yourself. The result could be more beautiful than you could even plan. Megan is coming back in the role of ‘Susan’ on ‘Haunted Hathaways’. As I look forward to spring, I am planting seeds. 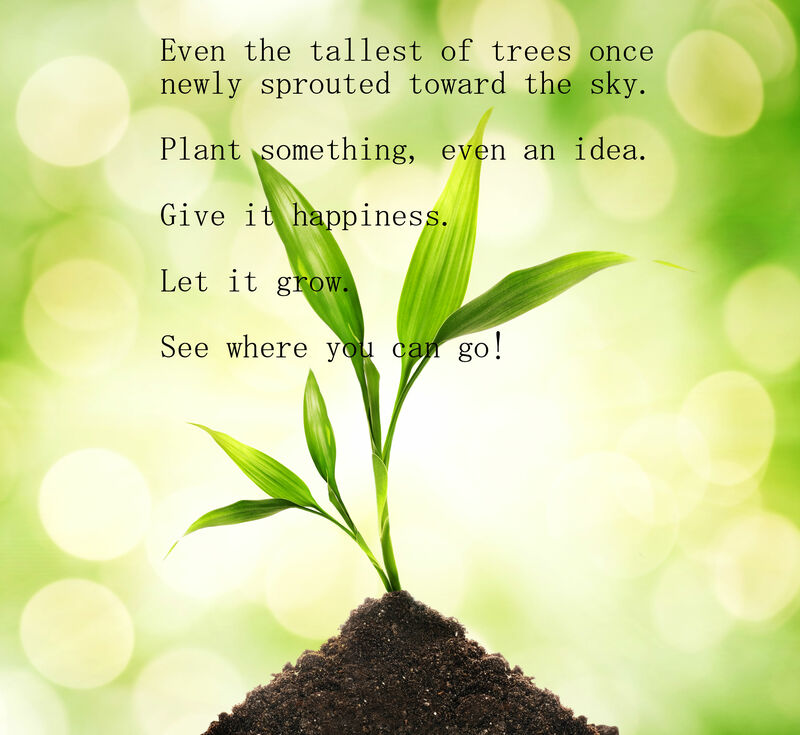 My seeds are ideas and thoughts and hopes for myself and my students. 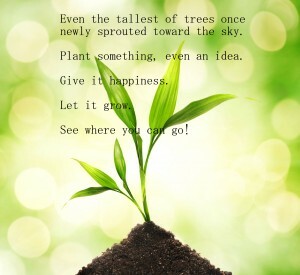 If you has a seed of wanting to be an actor or what every you dream but haven’t planted yet, do that today. 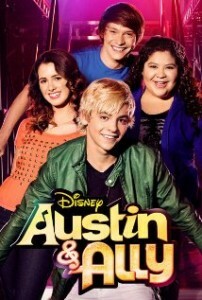 My private client Ashley Argota Guest Stars on “Austin & Ally” as Elle. Let your kids watch this show! It’s super fun! SAY IT. THINK IT. WRITE IT. BELIEVE IT. 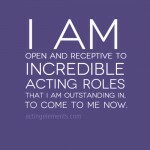 I am open and receptive to incredible acting roles that I am outstanding in, to come to me now. 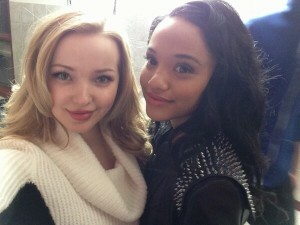 Dove Cameron and Keirsey Clemons both are in the Disney Channel’s original movie “Cloud 9”. My private client Bailey Brown returns as “Janie’ on Nick at Night’s “See Dad Run“. This girl and the show are very funny!! 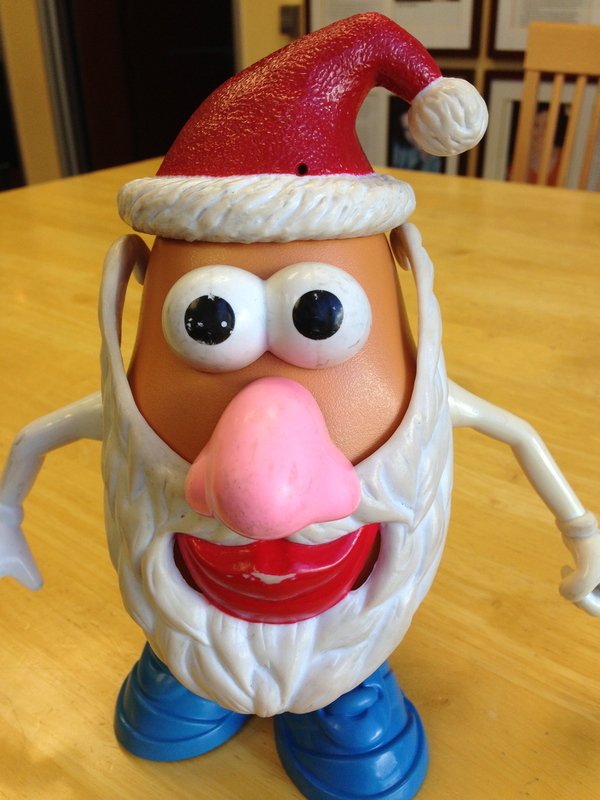 Overheard in Class #3 – I love acting. It’s in my soul! 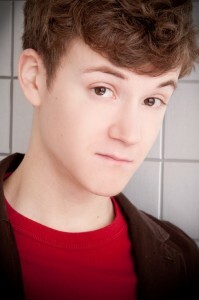 Preteen Student: I love acting. It’s in my soul. Don’t you see it? Me: Yes. Yes, I do! 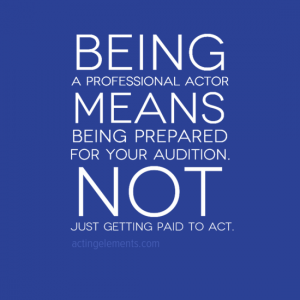 Which Comes First – Acting Professionally or Being a Professional Actor? 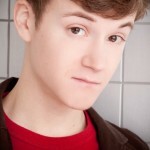 Student’s Mom: When will my son be a professional actor? Kid Yoda: Acting professionally he will be one. Which comes first acting professionally or being a professional actor? Yes, literally being a professional actor means getting paid to act in something. However, acting professional means that at all times you are preparing like a professional actor by being fully prepared for your auditions and callbacks. Reading everything you have been given even it’s been crossed out. Comprehending all the scenes and their requirements. Either being memorized or incredibly familiar with the dialogue. Being on time for your auditions. Fully committing before you begin your audition. Making connection with the reader. Able to take casting director/director re-direction easily and accurately. Enjoying the whole audition and callback process. Looking forward to your next audition. It is not making excuses about why you didn’t get a chance to do all of this. Then when you book that first gig you are already acting like a professional actor. 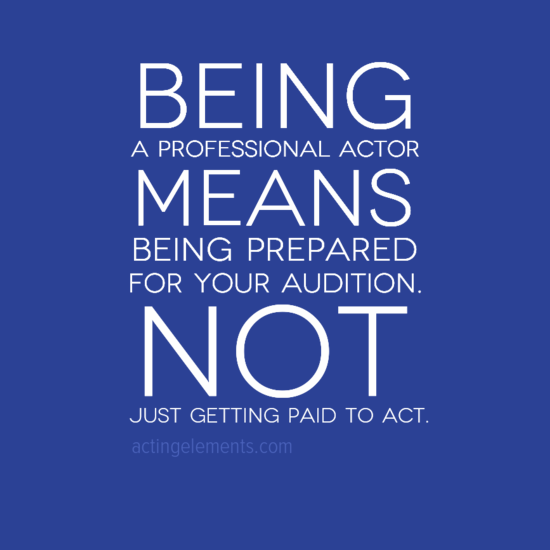 So which comes first acting professionally or being a professional actor? The answer is always the same: acting professionally!!! When I am watching an actor I am teaching on camera I can always tell what they are thinking. Maybe not the exact, specific words, however defintely in the ball park of what is going on. When they are thinking in character about everything that is going on in the scene their thoughts are focused, completely in sync with the moments of the script. However, when they are not, it is clearly obvious through this on-camera medium that the thoughts are of the actor themselves, concerned, searching for lines, wondering how they are doing, what I am thinking about their performance, what the other actors in class are doing or going to say, etc. If you are an actor, you probably understand what I am saying. It is never enough to just say the words of the character. That is the craft of memorizing. That is only one level of acting. An actor must meld the language of the script with the thoughts the character. Sometimes even completely thinking something opposite of what they are saying. Just like in real life you sometimes don’t say exactly what you mean. You could be lying. You could be trying not to hurt someones feelings. You could be hiding something. You could be remembering something wrong. You could be guarding yourself. You could be trying to cover for something else that is going on and don’t want the characters you are talking to to discover that ‘something’ else. The list is endless to why. The idea is that your thoughts won’t be heard. 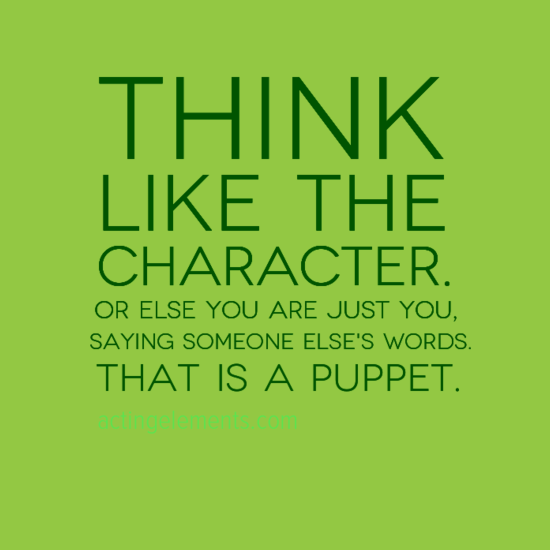 So just like in life, often characters thoughts are those that will hopefully not be heard. And in acting, you MUST be thinking if there is any hopes of feeling the characters feelings and then saying the lines of the scripts truthfully . Even if that is truthfully lying. “Comedy or drama. The rules are the same. 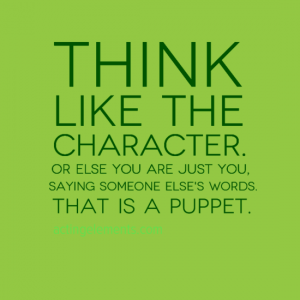 Think like the character or else you are just you, saying someone else’s words. 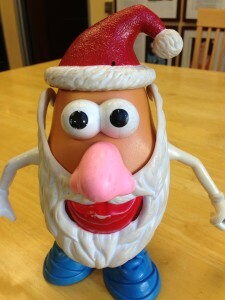 That is a puppet. 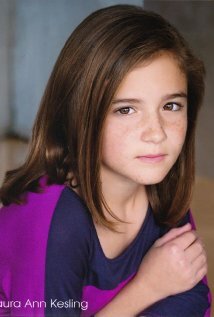 My spitfire student Laura Kesling is recurring as ‘Dottie’ once again on this weeks episode of “The Middle”. Enjoy the show! Then their five-year-old daughter’s eyes lit up and she taught me some wisdom. She replied, “I have a little of that.” She was right there telling me that she already had something that she could see in herself that would make her successful as an actor and though she didn’t feel like she had a lot of self confidence, she definitely had ‘some’. Knowing she had some meant that she hoped that she had already started the journey of achieving her dreams. 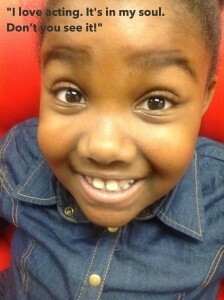 To this five-year-old, she hoped her ‘some’ was enough to get her into classes to study acting with me. To this teacher, I felt as though she was the one doing the teaching in that exact moment. That moment held an epiphany for me. 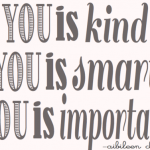 Only that individual can truly gauge how much self-confidence they personally have in themselves. I shouldn’t have implied that because I knew she was shy that meant that she didn’t have ‘any’ confidence. So where ever you are in your self-confidence journey, or along any creative journal or journey of self discovery or I guess as I write this I realize that it means anywhere you are in anything in your life, it’s okay to start small and then grow from there. ‘Some’ is greater than ‘none’. A sort of word-mathematical rule. And even if you have ‘none’, start by getting ‘some’. I guess I can do math after all. I often sit and daydream. I got in a lot of trouble for it in grade school, middle school, high school, college…yet that exact skill set makes me the ideal acting teacher. I teach my students that sometimes their imagination must ‘fill in the blanks’ from everything to what they are seeing in front of them (not a casting director or camera or set) to sometimes when there are not enough facts for the scene, then they must use their imagination to answer what they are feeling in character, thinking in character and believing is happening to their character. The imagination fills in all those answers. 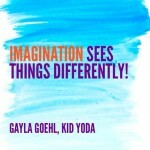 Your imagination is like a really great test taker if you ask me. You got a question about your scene, ask your imagination to give you an answer. Taking time to ask your imagination these questions is called ‘daydreaming’. I have a 4.0 in daydreaming. So what happens when one of the stars of Paranormal Activity 3 (Jessica) walks past one of the stars of Paranormal Activity: The Marked Ones (Jorge Diaz) while passing each other outside my office? 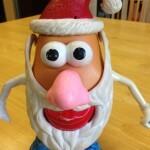 They just say ‘Oh, hey!!! (then) ‘Wait a minute!!! (then some giggles) and wave! Now that the film is out I can finally tell you that my private client Jessica Tyler Brown revives (is that the right role to say for her role…hahahaha!) 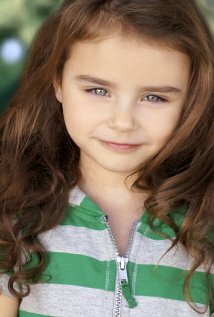 her role in Paranormal Activity: The Marked Ones.